Our customers are always asking us, Why did my physical barrier fail? Or more commonly Does a physical barrier stop termites? Well there are many forms of physical termite protection. Termimesh, Alterm, Granitgard, Kordon, Homeguard, Trithor just to name a few. Some new buildings have nothing but an exposed slab edge. So how do these systems work and how safe is your property? 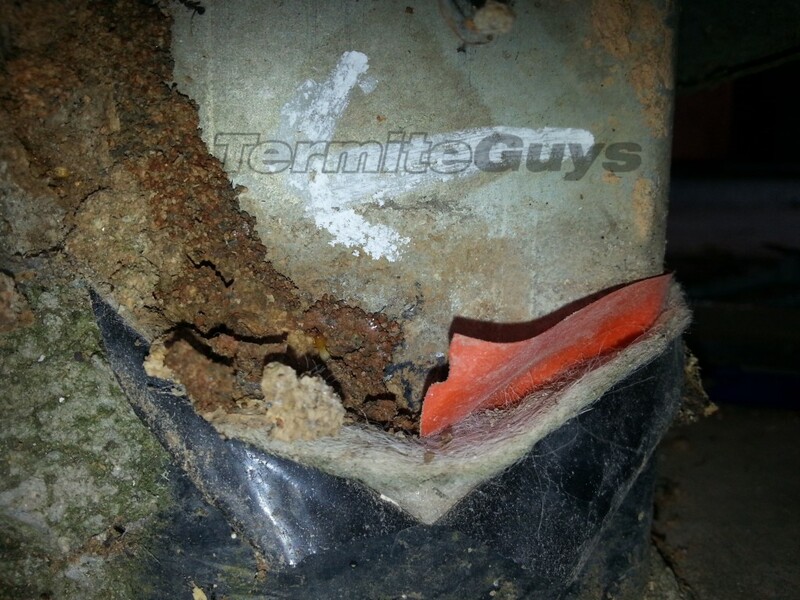 Physical termite protection IS NOT designed to stop termites. 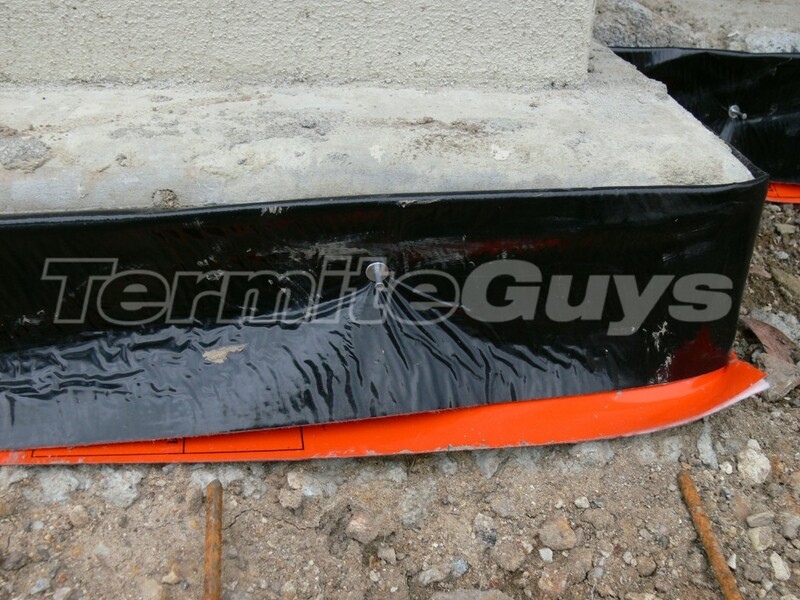 It is designed to make termite attack visible at an early stage so it can be dealt with before major damage occurs. The most serious infestations occur when they gain access to a concealed area allowing the termites to do damage freely before they are detected by the unfortunate resident. With physical protection there may be some form of evidence that they are attempting to bridge in, but it doesn’t eliminate termite entry. It is crucial to check regularly (monthly at least) where your system has been installed for evidence of attempted entries. This will usually take the form of a gradually growing shelter tube as they attempt to bypass the shielding. We are happy to explain how your particular system should work, there should be information about what system you have in the meter box. If there is no sticker you should contact the builder if the house was built after 2000. Otherwise the lack of the sticker almost certainly means that you don’t have protection in place. In this event it is recommended to book in an inspection and quote for a chemical barrier. When a new house is built one of the very first steps is the termite work. Almost all of the construction work occurs after this is done. Damage or breaches to the barrier can occur either by poor workmanship or through forced changes to the design such as a house addition . Reputable builders should contact the installers to make the required alterations to the treatment but on many occasions this communication doesn’t occur. This may leave you with a brand new building or addition where the physical protection is already compromised. These systems also vary in difficulty of installation. Some are easy to install and others are harder. The workmanship of the person putting the protection in can make a huge difference. Joe Blow could have installed thousands of houses but is getting a bit casual about it now. Johnny Two-Thumbs makes a valiant effort but its only his first try. All of these physical barriers will have failures, for many different reasons. Often it is nothing to do with the company who put the system in. If your garden bed is built up two inches over the Termimesh, the termites have an entry point again. 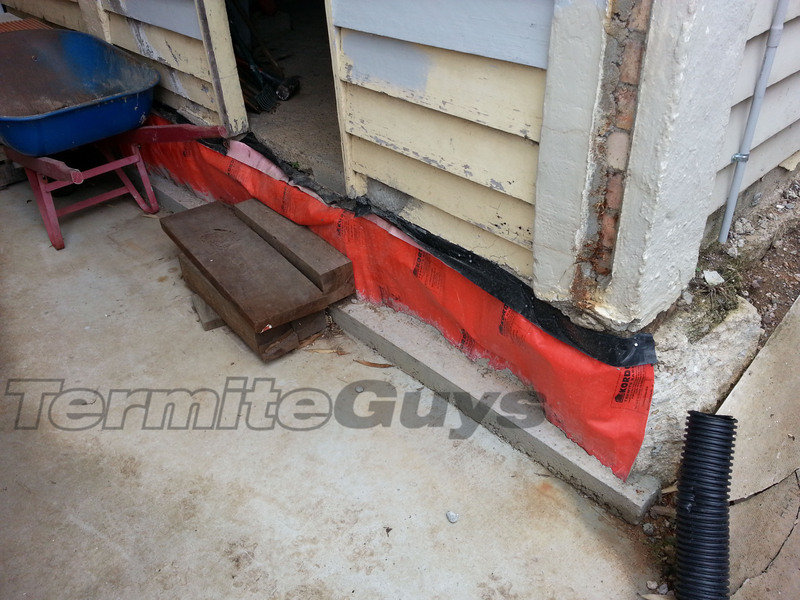 If you put a path down that covers the exposed slab edge, the termites will use the opportunity and travel in the joint between right up to the house. 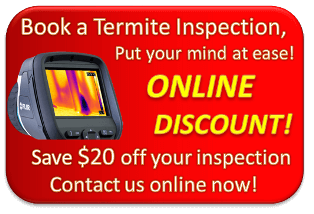 Every house with installed physical termite protection still needs regular termite inspections. Potential bridges, breaches or damage can be identified early and rectified (often quite cheaply). There is nothing worse than seeing termites in a new house or extension. Don’t let this happen to you, contact our office for an inspection today!